This post is for the girls! Hope you ladies had an excellent weekend. 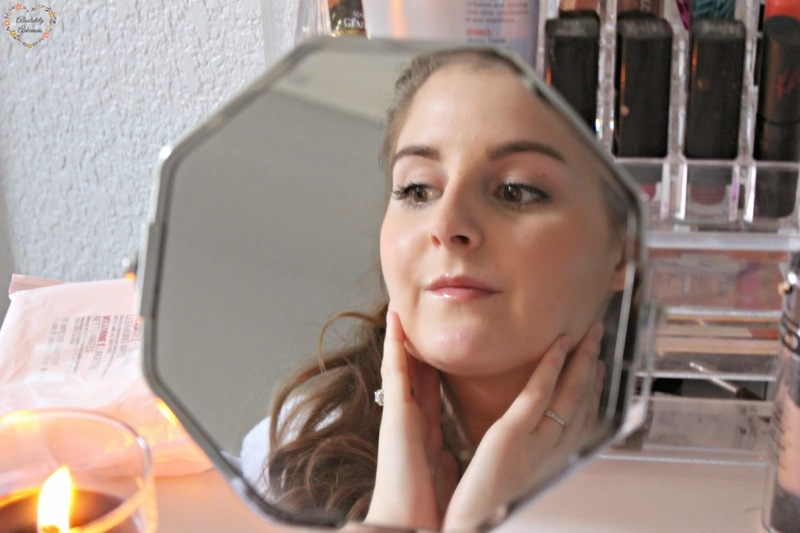 Today I wanted to pop in to give you a little review on some of my favorite new skincare. 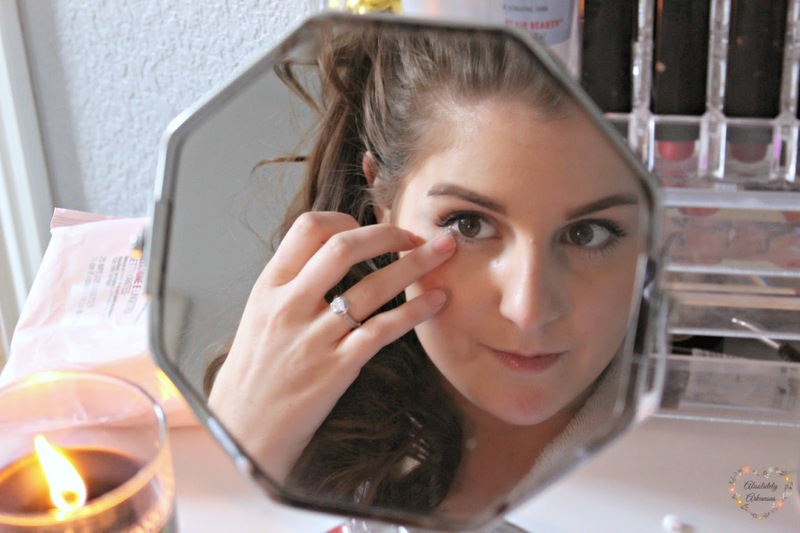 Have you heard of Modere? Not to fear, I hadn't either! Basically it's a safe & natural company that wants to make your life easier (and more beautiful!) by providing you with the best skincare, nutrition, hair care, weight management, household cleaning, and oral care. They even have a recently launched mens care line! Modere was kind enough to send me their beauty box, which is a beautiful black box filled with skincare & haircare goodies at a drastically discounted price from what they offer on their website. Best part? You can order the beauty box and it comes with a sample of every.single.product that you get to KEEP as well as the full-size eye gel (my favorite product). If you're not loving it? No problem. Send the box back (for free, shipping label included) and you won't be charged a darn thing. It's not a subscription box either. Order when you need it, or if you don't need all the products, you can receive up to $25 dollars off and free shipping as a new customer using code 689508. PHEWW! So now that we've got that all out of the way, let me give you a totally unbiased review on all of the products. 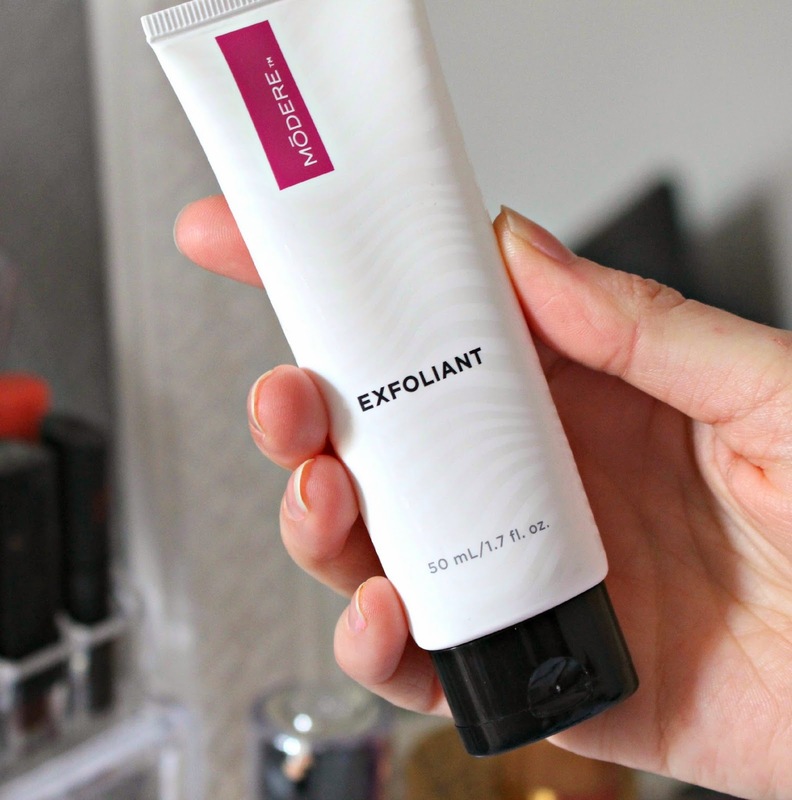 This exfoliant is more of a facewash in my opinion, as it doesn't have rough beads that really exfoliate deep. But if you have sensitive skin, this would be just perfect for you. I've been loving it to prep my face in the morning before makeup. 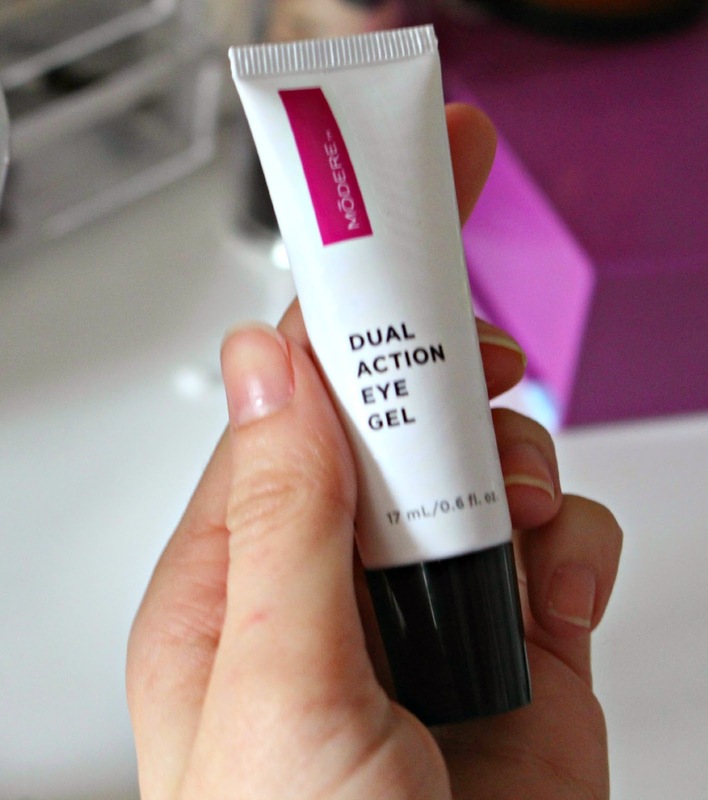 This eye gel is my favorite in my Modere beauty box, and the best part is, you can grab one for yourself for FREE (literally..not a single dime. Not even a penny. no shipping. just yours to keep) This is your gift to keep if you do grab a beauty box, and I love the way it reduces puffiness in the morning before I add face-makeup. It's cooling and feels really nice on tired eyes. 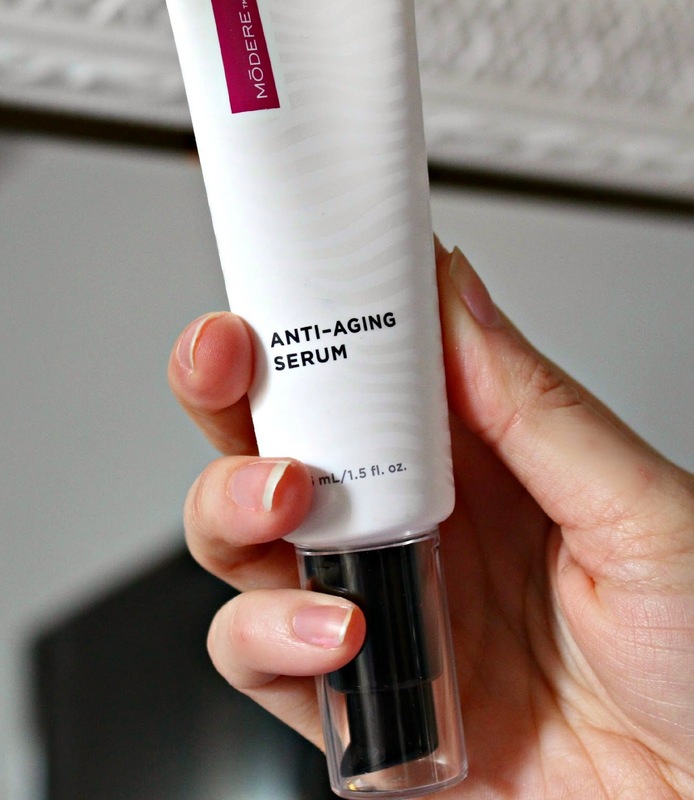 Now, I don't have to worry too much about aging, but I do have some very slight fine lines, and this hydrating serum feels so nice on those areas like my forehead and on my neck. I've used this one the least because of my acne-prone skin, but if your skin needs a boost of anti-aging I think it would be perfect for you. This stuff is heaven on your face! 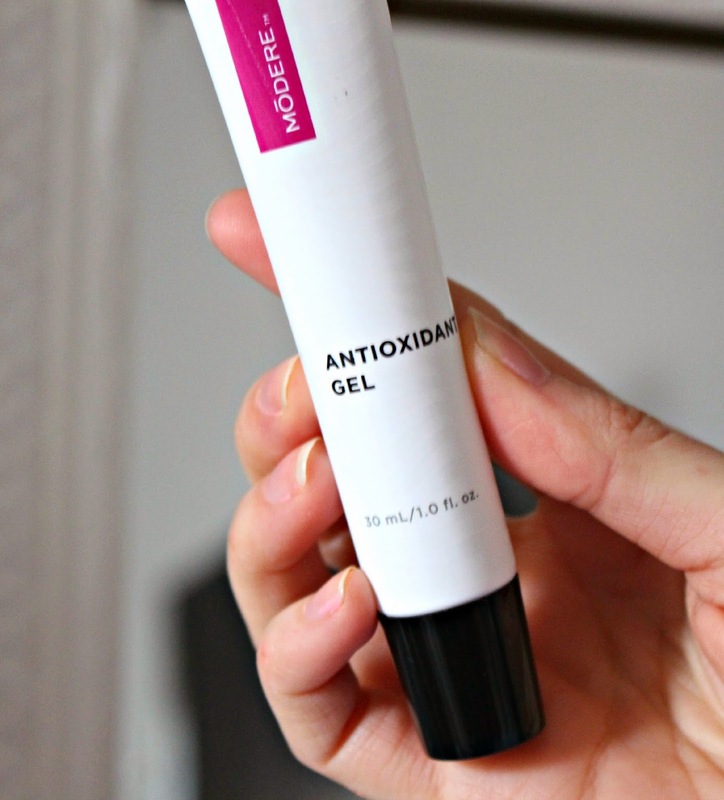 This gel is perfect for this time of year because it helps to brighten my dull-winter skin. I would say that it's not quite as moisturizing as I would like, so I definitely need to pair it with a thick moisturizer on my dry skin, but it does feel light and refreshing, and I definitely notice a brighter complexion. This serum is without a doubt my favorite product next to the eye gel. A small amount goes a long way, but it's so great for battling frizz! 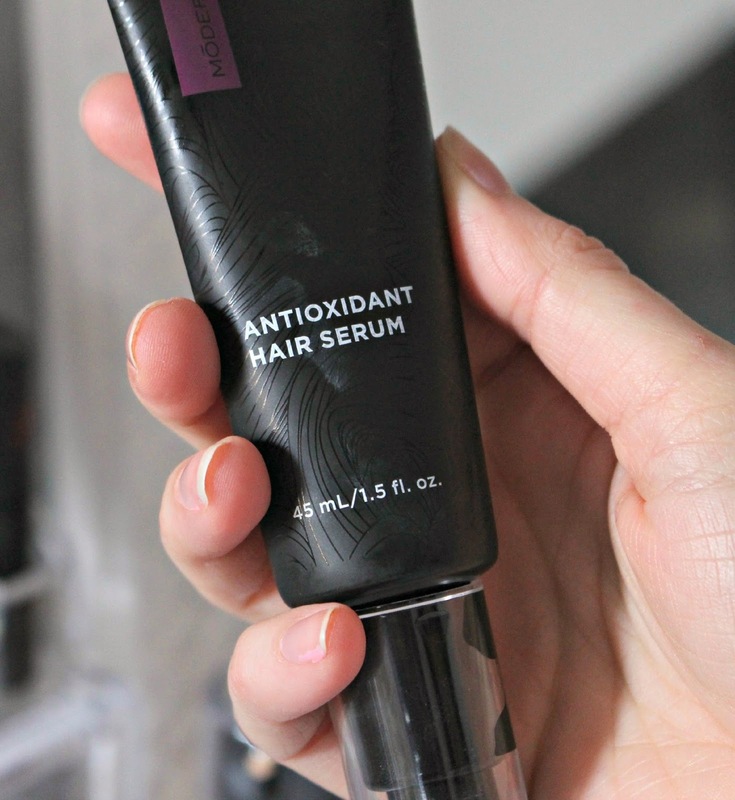 I love it for winter because my hair can get so static-y and this helps balance that. The directions say to work it from root-to-tip, however I wouldn't do that as it is oil-based and might make you look a little greasy ;) I love just the smallest pump worked into my ends for added shine and luster. The beauty box is a great deal, because you get so many products at such a discount, but I will say (in all transparency to you ladies!) that on their own, I think the products might be a little too pricey. I highly reccomend you head on over to Modere to snag your own beauty box (full of free samples of all of the above, and a free eye gel for you to KEEP!) Remember, if you're not into the products, simply send it back completely 100% free of charge. Hope you pretty gals have a great week! What a great giveaway, thanks for letting me know, Jodi! 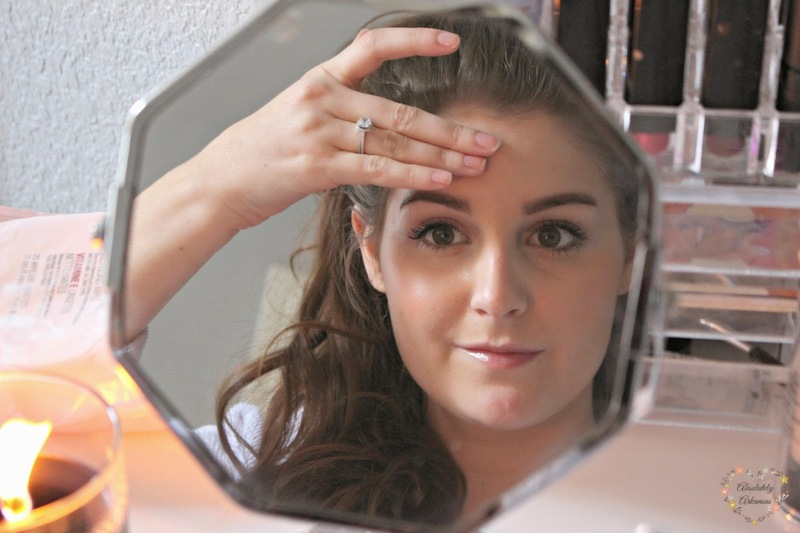 I'm always nervous about trying new products because sensitive skin runs in my family. I think I might try something new soon though! You would love it! I'm not sure if they ship out your way, but if they do, you will fall in love! I have such sensitive skin, so trying new products always scares me. But on the other hand, I'm always looking for that miracle "wonder" product too. I think i'm always on the hunt for a miracle foundation. With my crazy sensitve oily-but dry face, I can never find the right one! Thanks for coming by, Lara! I'm so glad to have you! I love them! Hope your week has been great, gal! Happy almost weekend! Hey, Malu! Thank you so much for coming by, it means a ton! Hello there, Hina! I'm so glad you came by, you're such a sweetie! Happy Hump Day!